Welcome back to one of our former Inkies, and still dear and delightful friend, Narelle Atkins! 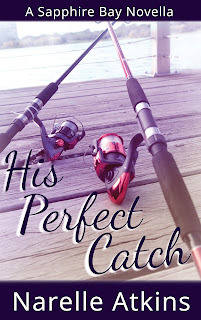 Narelle is here to tell us a little bit about her newest release, His Perfect Catch. Narelle, please tell us more about the Australian setting for His Perfect Catch. 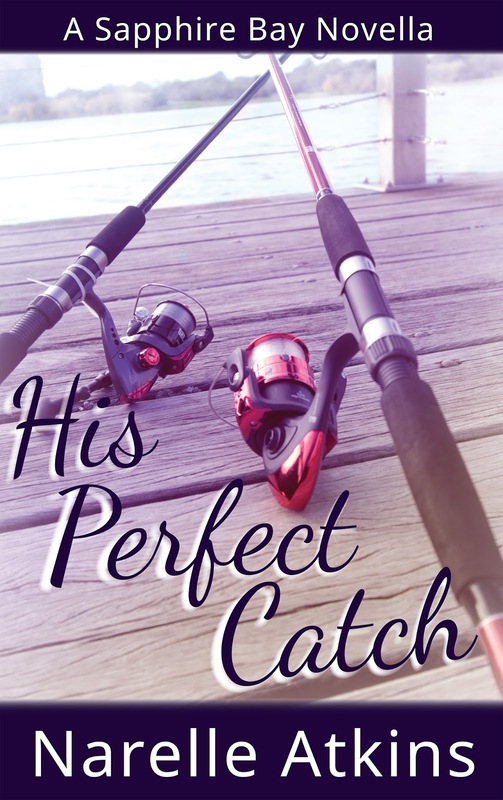 His Perfect Catch is set in the fictitious town of Sapphire Bay on the South Coast of New South Wales. I love visiting the South Coast region, only a few hour’s drive away from where I live in Canberra. Sapphire Bay is a small seaside town with a pristine surf beach and a pretty bay. It’s a great fishing spot and a popular tourist destination, especially during summer. How does your novella fit with the SPLASH! water theme? Pete, my hero in His Perfect Catch, loves fishing. He regularly takes his boat out on Sapphire Bay to catch his dinner. Pete and Mia, my city girl heroine from Sydney, temporarily become next door neighbors. They live in beach houses that back onto the sand dunes and overlook the ocean. The relaxed Sapphire Bay lifestyle is closely associated with water and His Perfect Catch is a light summer beach read. 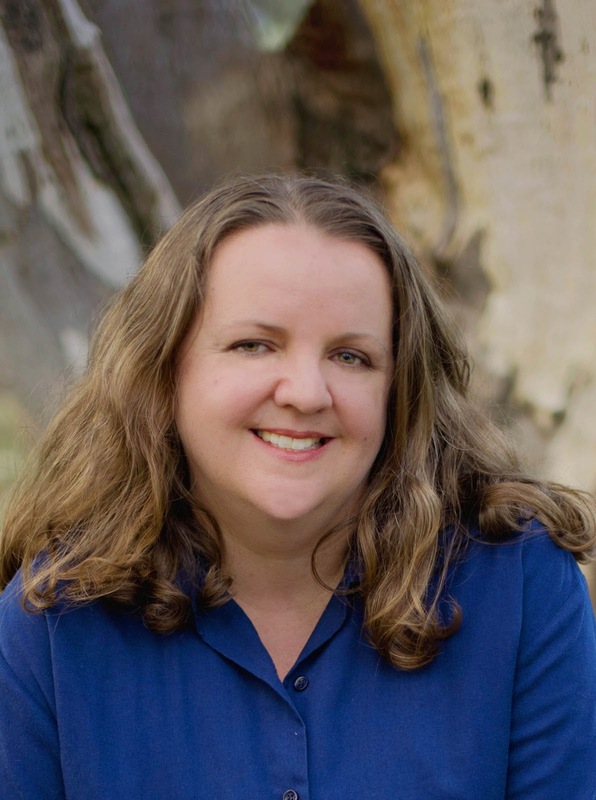 Is your novella connected to a series? I originally created the Sapphire Bay setting for Seaside Proposal, the third book in my Sydney series and my final book from Heartsong Presents. Seaside Proposal features Mia’s cousin, Billie, and the story opens in Sapphire Bay. I loved writing about Sapphire Bay, and I decided it would make a fabulous setting for a new contemporary Christian romance series. NINE Refreshing Romances Filled with Faith! Nine beloved authors of contemporary Christian romance have banded together to offer this limited-time collection of all-new romance novellas perfect for your summer vacation reading pleasure. Come visit Scotland, Zambia, Australia, Canada, and several American states, including Alaska, in these inspirational romance novellas. You'll love each refreshing contemporary romance as the characters enjoy the water on hot summer days, whether it be in a river, lake, ocean... or a swimming pool! A holiday romance isn’t part of the plan when Mia Radcliffe temporarily moves to Sapphire Bay and lives next door to Pete McCall, her secret crush from years ago. Pete prefers the simple life. Can Mia leave behind her big-city dreams and settle with Pete in the seaside town? Carly and Reed thrive on the rush of running rapids in a canoe until they capsize in both river and romance. Will secrets from the past drown their future, or can this idyllic summer romance lead to a lifetime of sweet serenades? When nurse Catriona asks for help with her Vacation Bible School for disabled children, she never imagines how much could go wrong on a simple seaside day out — or that the colleague she's secretly loved for years might come to see her as more than his best friend's little sister. He’s a seaplane pilot determined to honor his convictions. She’s a kayak guide who mocked his faith for sport. One small lakeside cabin in Alaska can’t house them both. After breaking up with her ultra-critical boyfriend, Teresa decides to reinvent herself. She meets a nice guy named Curt on the beach in Crescent Cove, Oregon, and tells him she’s Terése from Paris. Pretending to be someone else is fun until the unthinkable happens — she starts to fall for him. Lifeguard Alivia Collins looks forward to another summer on the guard stand at the Serenity Landing Aquatic Center. This year, she’s going to have to keep herself from falling for the cute, new guard - or realize it’s time to give love another chance. When out-of-work fashion journalist Karyn Lewis uses the summer to regroup on the coast of Virginia, she plans to lie low at Pine Breezes campground. She doesn't plan for her heart to be on a collision course with old friend Brodie Reed. They must decide if the past that looms between them will be too much for them to have a future together. Savannah artist Abilene Dupree keeps her personal life out of her commercial paintings except one. That one painting has now brought Londoner Lars Cargill back to the coastal town and into her art world. Can she hold him at bay before he invades her personal space and her heart? His faith buried with his wife, Simon devotes himself to raising his daughter and orphan elephants. Lady Abigail postpones an arranged marriage, leaving England to teach the children of Africa. Will his past—or her future—keep their hearts orphaned? 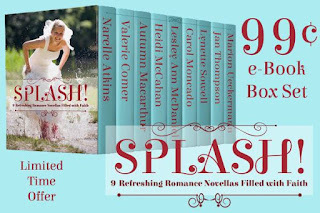 Grab a tall glass of lemonade or iced tea and dip your toes into a cool pool of water on a hot summer's day while you enjoy the never-before-released Christian romance novellas in SPLASH! Click here and snag your copy today. Hi Narelle! So happy to see you and your sweet smile! Your story sounds great, and so does Sapphire Bay. I'd like to be relaxing on a warm, pretty beach right now! I will head over and snag my copy! Congratulations on your release! Hi Susie, It's great to visit the Inkwell again :) I've love to be relaxing at a warm beach, too, instead of heading into winter. Thanks so much for your congrats and I hope you enjoy SPLASH! Narelle, I can't wait to read this book and I can tell you out of the mouth of one of my SPLASH! beta readers, the feedback was "Narelle has outdone herself with this one!" Well done. Hi Marion, I'm currently reading your novella in Splash! and really enjoying the story :) Thanks so much for your encouraging words and feedback from your beta reader. I agree, Marion. Narelle, this is a wonderful book and I can't wait for all of your fans to read it. They will love it. Congratulations! Crazy blogger.... first my comment doesn't post, then it posts three times. Mental Health Provided by Pinterest! What Moves You? Compassion, or Wrath?